Our Top 6 Bridesmaid Necklaces! We’re so excited to announce we will be showcasing our latest designer jewellery collections at London Fashion Week Festival on the 16th and 17th February 2019. With a brand new format, London Fashion Week Festival gives you insider access to catwalks, boutique shopping and immersive experiences with opportunities to attend talks from your favourite designers and key voices in the fashion industry! Situated in the heart of London, within the trendy Store Studios, just a short walk away from Temple tube station and Somerset House, the famous home of London Fashion Week. London Fashion Week is the place where the UK’s leading jewellery designers come together to showcase their latest designer jewellery collections for the forthcoming season, with exclusive offers and experiences just for the Insiders! Along with discovering the latest designer jewellery and accessory collections, you will be able to shop from a wide array of clothing designers that will be featured on the London Fashion Week Festival catwalks, the perfect place to be inspired with styling tips for the upcoming season’s trends. While you’re enjoying the exclusive shopping and catwalk experience, why not stop off at House of Lady Muck’s nail studio to get a mani or have your hair styled by Toni & Guy. As the evening kicks in, head over to Sofar Sounds for specially curated music performances. Find Muru in the jewellery room, where we will be showcasing our Goddess Coin necklace collection, our Constellation Star Sign necklace collection along with our most loved pieces from bloggers and celebrities alike. Our jewellery has been spotted on the likes of Jourdan Dunn, Louise Thompson, Zooey Deschanel and Pixie Lott to name a few. Receive exclusive offers on the day and get personal styling tips from us so you can up your necklace layering game! London Fashion Week Insiders is a hub for the IT-girls and the the most influential bloggers to get inspired by the latest trends, so you’re sure to pick up a few tips for an effortlessly stylish year ahead. Now it’s time to decide whether you want to be an Insider or in the FROW! 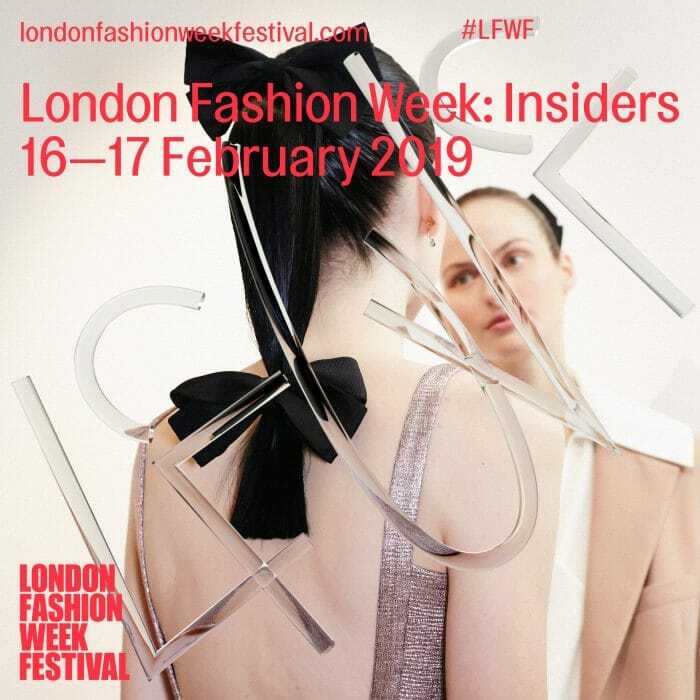 At just £135, Insider tickets will give you access to a London Fashion Week: Insiders catwalk, access to the Insiders lounge along with you choice of fashion industry insider talk, a limited edition designer tote bag and a glass of champagne upon arrival. At £245, Front Row tickets will whisk you into the world of fashion with a front row ticket to a London Fashion Week Insiders catwalk show and priority seating at a fashion industry insider talk as well as complimentary champagne, soft drinks and snacks throughout your day! You will also receive a VIP limited-edition tote bag filled with beauty, lifestyle and fashion products to take home. Our friends at the British Fashion Council have given our customers an exclusive ticket discount to attend London Fashion Week Festival. Receive 10% off ALL tickets by using the code MURU at the checkout.